Fine beaches remain a top reason to take a trip to Mazatlan, a developed resort city with a high concentration of hotels and restaurants. Start off your visit on the 10th (Sun): stroll through Stone Island (Isla de las Piedras), get to know the fascinating history of Plaza Machado, and then admire the landmark architecture of Immaculate Conception Cathedral. Get ready for a full day of sightseeing on the next day: cast your line with Aqua Sports Center and Scuba Dive, then take in the exciting artwork at Look Vintage and Modern Gallery, and then wander the streets of Old Mazatlan. For where to stay, other places to visit, and tourist information, refer to the Mazatlan online attractions planner . Mexico City to Mazatlan is an approximately 4-hour flight. You can also drive; or take a bus. Traveling from Mexico City to Mazatlan, you'll gain 1 hour due to the time zone difference. In December, Mazatlan is a bit warmer than Mexico City - with highs of 31°C and lows of 15°C. Wrap up your sightseeing on the 12th (Tue) early enough to travel to Mexico City. 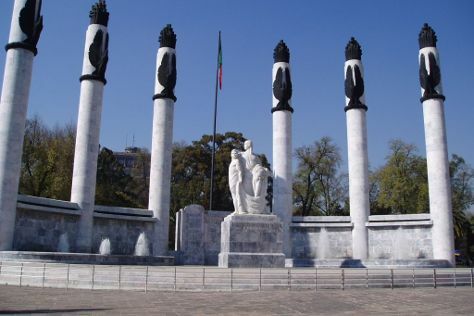 Do some cultural sightseeing at La Condesa and Metropolitan Cathedral (Catedral Metropolitana). Deepen your sense of the past at sights like Historic Center (Centro Historico) and Zocalo. When in Mexico City, make a side trip to see Zona Arqueologica Teotihuacan in San Juan Teotihuacan, approximately 1h 20 min away. There's much more to do: see the interesting displays at Frida Kahlo Museum, get a sense of history and politics at Palacio Postal, delve into the lush surroundings at Chapultepec Park, and admire the masterpieces at Palacio de Bellas Artes. For other places to visit, reviews, and other tourist information, read Mexico City travel route builder site . Fly from Mazatlan to Mexico City in 4 hours. Alternatively, you can drive; or take a bus. You'll lose 1 hour traveling from Mazatlan to Mexico City due to the time zone difference. Prepare for a bit cooler weather when traveling from Mazatlan in December: high temperatures in Mexico City hover around 26°C and lows are around 9°C. Finish up your sightseeing early on the 15th (Fri) so you can travel back home.